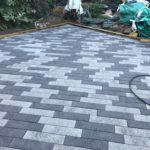 Are you looking for a paving company in Milton Keynes that can install block paving? Give B and M a call today. We are experts at installing block paving in Milton Keynes. With over 30 years experience at installing block paving, you are guaranteed a quality block paving installation each and everytime with B and M Paving. All our work is done to exacting standards to ensure a long lasting and durable block paving installation. 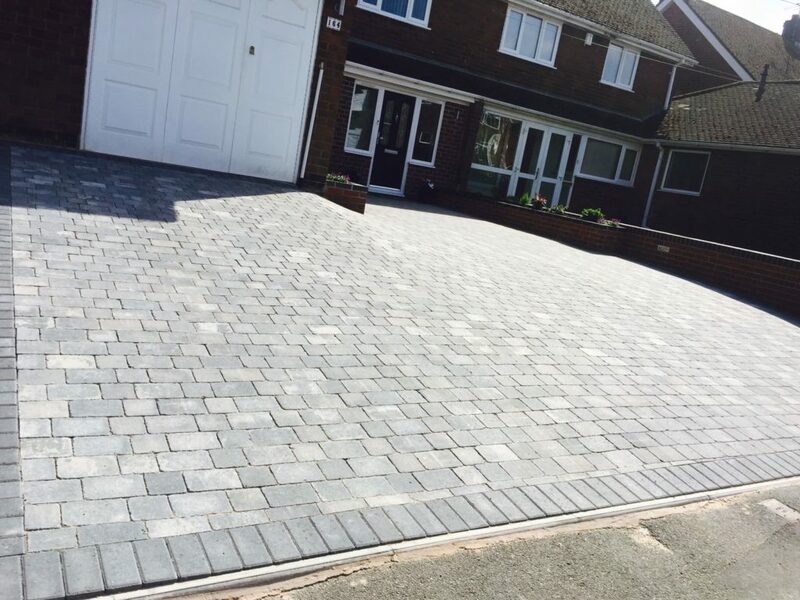 If its on your driveway, patio or garden area, we always ensure the preparation work is handled correctly and all the correct block paving installation procedures are adhered to. With a wide range of options that includes standard block paving, cobble stones, Tegula and clay paving, you are guaranteed to find an option that will suit both your taste and budget. 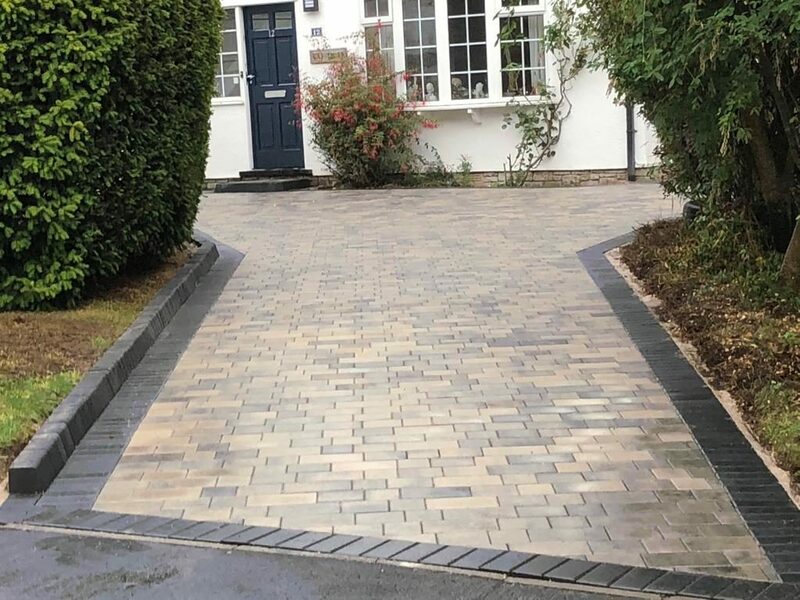 We can tailor any block paving to suit our customers from adding custom designed patterns to creating sloped entrances to homes that require wheelchair access. Block paving looks great on any patio area or garden area. It can be used with other products like gravel, natural stone, tarmac or resin bond. 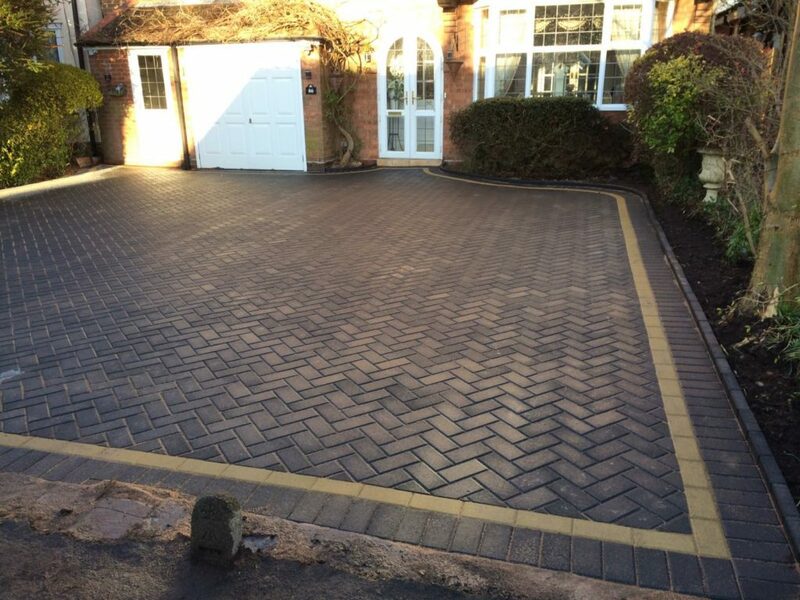 Make your block paving on your driveway stand out by creating contrasting borders with various styles available. Add decorative and curved lines on lawns or gardens. 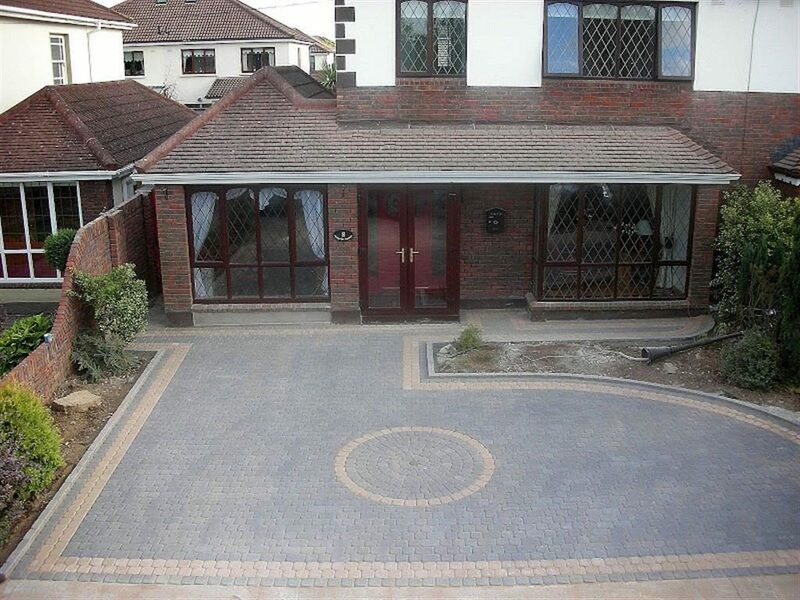 Block paving pathways that wind round a garden or circle a seating area out the back of your home. With B and M Paving as your block paving specialist, your imagination is your limit. Call us today to get a free quote for block paving Milton Keynes. We look forward to hearing from you. All our block paving is laid on a firm, level and well drained base to ensure long term service and stability – getting the ground work right is essential. The next stage is to set up edge restraints around the area to be paved (these may include existing walls) using block kerbs or concrete edging. The kerbs or concrete edgings are bedded into 100mm of concrete, to the required level, with a 45 degree haunch up the side of at least half the block or kerb height. This is essential to prevent the block paving and the sand on which they are laid from moving. Onto this, a layer of river washed sand (river washed sand is more free draining than normal sand and is less prone to being washed out) is applied, to the depth of 50mm, and then compacted with a plate compactor. A second layer of sand is then applied. This second layer of sand is leveled to the correct falls using string line levels. The laying of block paving should always begin from the bottom of any slope, preferably starting from a right angle or a straight edge. Working from several packs at a time is essential when using a mixed size product such as cobble styled paving blocks. We place the block paving on top of the laying course, ensuring they are around 4-5mm above the desired finished level. 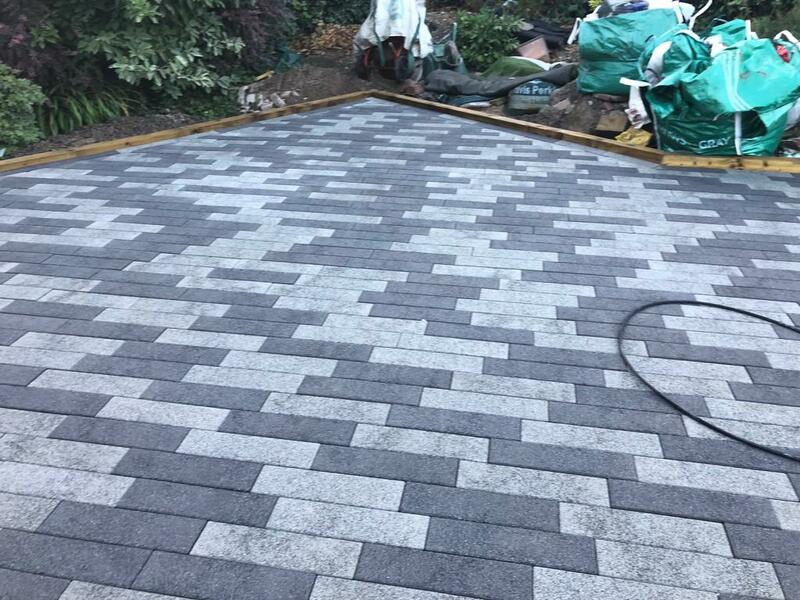 Once all the block paving is laid, we use a mechanical block splitter or a Con-saw to cut the blocks required for the infill pieces or at the retaining edges. Once completed, we sweep the area and compact with two or three passes of the plate compactor. Jointing of the block paving is preferably completed when the block paving is dry. We apply kiln dried sand to the block paved area, then brush into the joints using a soft brush, ensuring the joints are filled fully.